Our ballet outreach mission is to help young disadvantaged and underprivileged girls in Gambia to expand their horizons, explore their creativity and build the friendships, confidence, self esteem and discipline to live a better life. We are a loose collective of ballet enthusiasts based in The Gambia in West Africa. 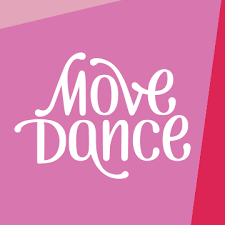 We started out as a social group that used to meet to discuss ballet and to swap and watch DVDs and we have gained momentum to the extent that we now run ballet awareness workshops at a number of women’s groups, local schools and community centres. We are attracting young and enthusiastic ballet students from all levels of society and survive on donations and local fundraising events. 1. We have built up some momentum with 60 students paying fees that have been used to develop and deliver ballet education programs in 4 local schools. 2. We have staged 3 performances and are about to start filming a short documentary and some outdoor performances with a Gambian film maker. 3. We have had 3 volunteer ballet teachers visit and work with us. 4. All of our students and participating schools have been recruited by word of mouth and recommendation. 5. Our next challenge is to find a permanent home for the Gambia Ballet Factory from where we can start to scale things up and become a creative hub and centre of excellence for ballet, film, music and the performing arts. So far we have had 4 homes and we now need our own studio equipped with mirrors, barres and dance flooring from where we will offer more and better quality ballet lessons and share or rent the space to other dance and performing arts companies, teachers and organisations. We have filed our registration as a Gambian Charity and once we are legal and official we will be able to raise the GBF profile in Gambia to boost attendances, revenue and our outreach program by using local Gambian Facebook Groups, press advertising and special events. 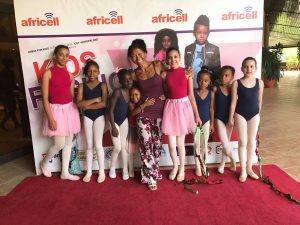 These increased revenue streams will fund the drive to introduce our ballet education program to more Gambian schools and pay ballet tuition scholarships for the girls we find who are truly motivated and show the most potential. First off all I like to introduce mys lf and give you some background on what is going on here in The Gambia. Both of my parents came from Indonesia but I was raised and brought up in Holland where I was forced into ballet as a school girl. Although I remember hating it, ballet has became my life long passion and something I can not live without. 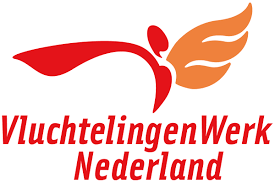 After leaving school, I studied Sociology and Social Work which lead to me gaining a position with the major Refugee Organisation in Holland, Vluchtelingen Werk Netherlands. After a few years I realised that I wanted to do something in the same line but in Africa and I moved to the Gambia about 12 years ago. I settled down in a rural community in the South of Gambia and started my charitable organisation Makadif, as in Make A Difference with the aim of educating and inspiring the women of the area. The organisation was funded by sponsorship and donations from individuals and SMEs mainly in Holland. In 2006 I created a micro finance initiative from which the women were able to fund, manage and run successful small businesses which are still benefiting the local community. In 2010 I expanded the activities of Makadif to offer free literacy classes for the women already involved in Makadif and any one else who was interested. In 2013, I instigated a family planning and reproductive health program through which we have also campaigned extensively to end the local practice of female genital mutilation. In 2015, I launched the Making The Pointe to promote the grace and beauty of ballet and to educate, entertain, inspire and motivate the young women of Gambia. I am always on the look out for teaching aids and role models for our classes and with the meteoric rise of Micheals dePrince, Misty Copeland and others it seemed a good idea to begin introducing ballet in to the proceedings. By watching ballet DVDs, story telling, group discussions, listening to music and teaching the basic ballet steps it soon became obvious that the women were starting to enjoy the perfection of ballet and were keen to involve their daughters and younger sisters. In the short term, my plan is to increase the number of ballet workshops that we hold and begin to recruit some girls with real potential,determination or ability for serious lessons.